BCG vaccination, routinely given at birth to protect from tuberculosis (TB), causes an immune-activation of CD4 T cells, the HIV target cells, according to a South African study presented at the Nineteenth International AIDS Conference in Washington DC. This immune activation may increase the risk of infant HIV infection through breastfeeding, particularly in cases where the infant is not receiving antiretroviral prophylaxis or where the mother is not taking fully suppressive antiretroviral therapy. 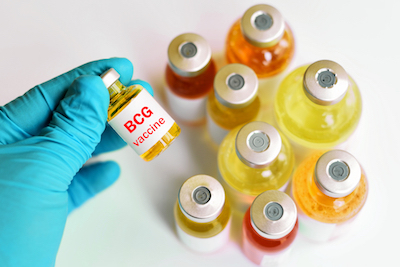 The BCG vaccine is given routinely to infants in settings where TB is endemic and is recommended for HIV-positive children in South African treatment guidelines. The BCG vaccine has been shown to be a safe and effective vaccination against disseminated TB in children without HIV. Although it is associated with a 1% risk of disseminated disease in HIV-positive children, it is still recommended to be administered to all infants at birth since their HIV status is often only definitively known once they are 4 to 6 weeks old. The study randomised 118 HIV-exposed, uninfected infants from Khayelitsha, a large township outside of Cape Town, where the antenatal HIV-prevalence is 30%. 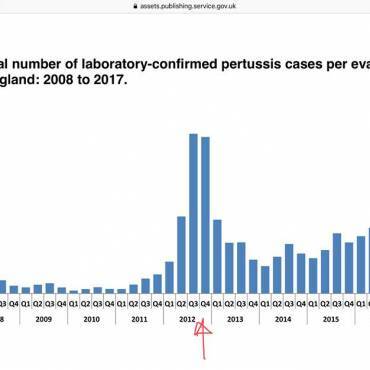 62 infants were given the BCG vaccination at birth as per recommended guidelines, while 56 infants were given their BCG vaccinations at the age of 8 weeks. Blood was collected at birth, 2 weeks, 6 weeks, and 8 weeks for analysis. The results at 6 weeks showed significantly higher HLA-DR expression on CD4 T cells among the infants who had received BCG at birth, compared with those in the delayed group (p=0.024). The expression of HLA-DR on regulatory T cells correlates positively with immune activation in HIV.